Supporting the development of the next generation of agricultural researchers in Australia and in developing countries is an important goal for the Crawford Fund and for this reason, we have supported training in a number of countries to assist early to mid-career researchers to improve their chances of having their research published in English language journals. 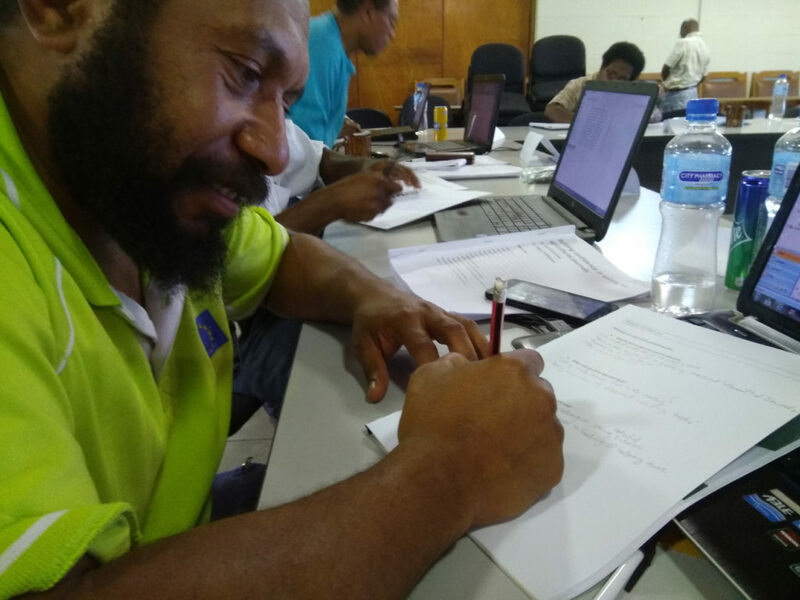 Supported by The Crawford Fund’s SA Committee, Dr Geoff Kuehne and Dr Roger Wilkinson developed and delivered a 3-day participatory training workshop for agricultural scientists and academics in Papua New Guinea in August. “This training aimed to improve the scientists’ familiarity and confidence with the publication process and the requirements of editors and reviewers”, said Dr Kuehne who is an Adjunct Senior Fellow at the Centre for Global Food and Resources at the University of Adelaide. 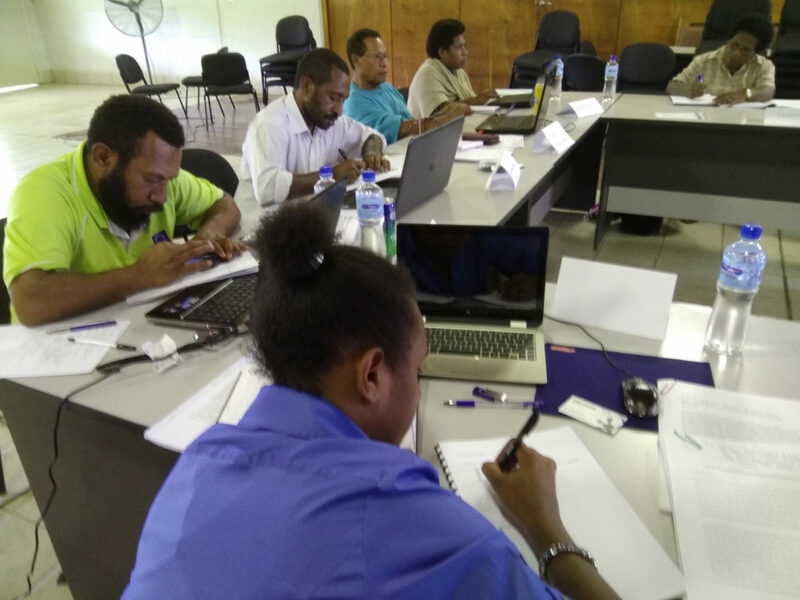 Six academic staff from the Department of Agriculture at the PNG University of Technology and six researchers from the PNG National Agricultural Research Institute attended the training workshop. Dr Kuehne was happy with the result. “There was a definite increase in the confidence of participants in their ability to get papers written and published in international agricultural journals”, he said. He explained that an unexpected outcome was the development of a support network of researchers and academics interested in furthering their publication careers. This emerged during the course as a result of participants’ enthusiasm and has been supported by the trainers with emails and advice. Meetings with senior staff at both institutions following the course demonstrated enthusiasm for further training workshops for other staff and postgraduate students. The training is also likely to be beneficial elsewhere in the developing world where good science is being done but not being made public to an international audience.